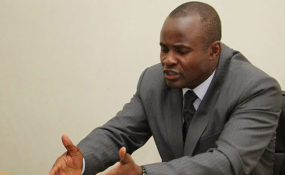 Norton Member of Parliament Temba Mliswa. Norton Member of Parliament Mr Temba Mliswa has disowned a Twitter account using his name and challenged his Chivi South counterpart Cde Killer Zivhu to prove that he indeed authored defamatory statements against him. Cde Zivhu is suing Mliswa at the High Court for $1 million over alleged defamation of character emanating from tweets which he attributed to the Norton legislator. In his request for further particulars to the case, Mr Mliswa -- through his lawyers Kadzere, Hungwe and Mandevere -- challenged Cde Zivhu to prove that he indeed owned the Twitter handle Hon. Temba P Mliswa. "To enable the defendant to plead to the plaintiff's summons and declaration, the following further particulars are requested: how is it being alleged that it is the defendant who actually wrote the said tweets? "How is it being alleged that the Twitter account Hon Temba P Mliswa belongs to the defendant? Is there any proof that shows that it is the defendant who authored such tweets? "We request that we be furnished with MAC address that identifies the actual device that was used to send the said tweets. "We request that we be furnished with an IP address which identifies the location and the Internet that was used. Is there any confirmation from service provider that indeed the account belongs to the defendant? How is the defendant responsible for the articles he did not author?" In his plaintiff's declaration, Cde Zivhu indicated that the Twitter handle belonged to Mliswa and that he was using the same handle to update his constituency and other stakeholders about his programmes. Cde Zivhu said Mliswa used the same twitter account to allege that he had corruptly acquired land in Norton's Galloway area. "Print outs of the mentioned tweets and published articles are hereby attached as annexures," he said. "Moreover, several articles have been published on several news websites including Zimeye, The Sunday Mail and TheZimbabwe.co, who all quoted the defendant as the source." Cde Zivhu said Mr Mliswa's words in the context of the tweets and the numerous articles were untrue, wrongful and defamatory in that they were understood by readers and followers of Twitter to mean he was "dishonest, manipulative, pretentious, divisive, unscrupulous, cold-hearted towards the public and unworthy of leadership". He said the words were further understood to mean that he was a criminal with intentions of defrauding poor members of the public and residents of Galloway, Norton, of their money by selling them stands where he would neither deliver title deeds nor develop the area. Cde Zivhu said his organisation, the Zimbabwe Amalgamated Housing Association (ZAHA) owns more than 285 hectares of land in Galloway, Norton, and has title deeds in its name and all the relevant permits from Norton Town Council, including a sub-divisional permit granted in 1998. He said he would prove in court that the land has permits registered by the Surveyor General and that it was purchased and all taxes due to Government and the Zimbabwe Revenue Authority (Zimra) were paid. Cde Zivhu said the land has been serviced up to 60 percent, with Norton Town Council having given the organisation up to 2020 to complete servicing the area. He said the project was meant to benefit low income earners who could not afford to buy expensive residential stands and that was why it was being sold at $5 per square metre, which is below the price charged by councils. Cde Zivhu said Mr Mliswa reported him to CID Fraud, the Zimbabwe Anti-Corruption Commission (ZACC), different police stations, former president Mr Robert Mugabe, almost all former Government ministers, the army and the Central Intelligence Organisation, but investigations by all these organisations did not unearth any corruption.